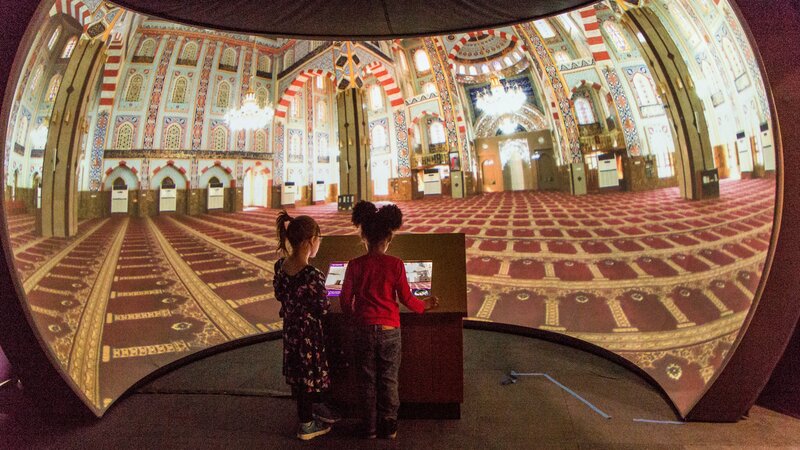 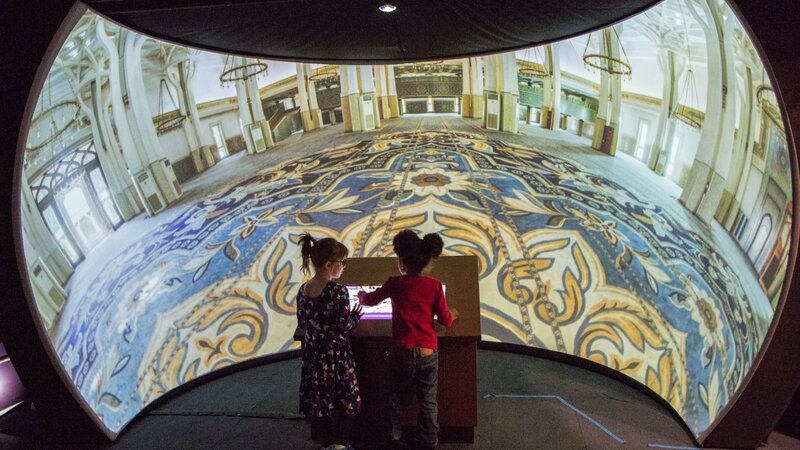 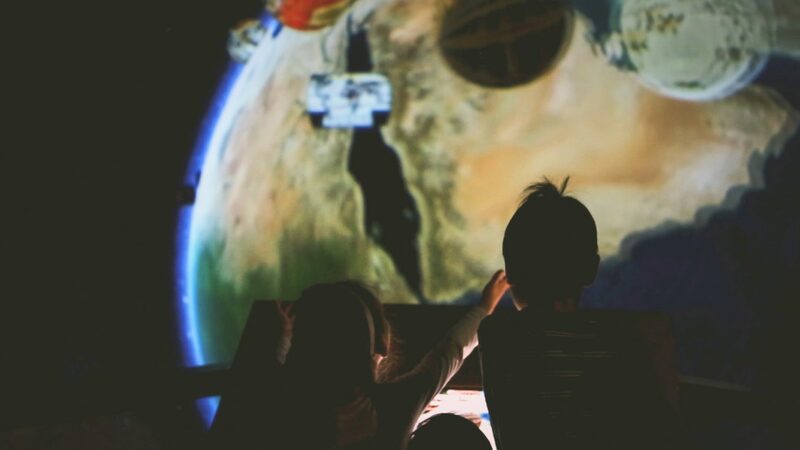 A GeoDome Panorama is part of the Children’s Museum of Manhattan’s America to Zanzibar: Muslim Cultures Near and Far exhibition, using WorldViewer for a 3D exploration of mosque architecture from the Maldives to China. 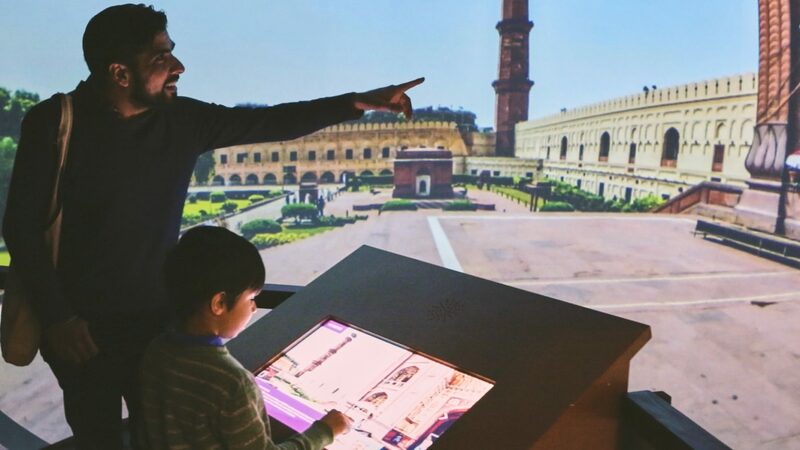 Museum visitors use a touchscreen to see where mosques are located around the world, spin the globe, and zoom in to explore panoramic images showing both the interior and exterior of the mosques. 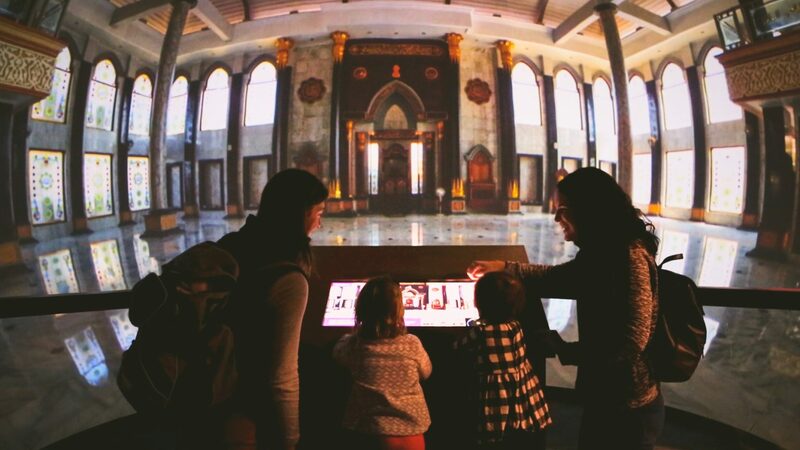 Following the creation of popular exhibits on the cultures of Ancient Greece, China and Japan, the Children’s Museum is continuing its Cultural Exhibition and Programming Series with this exploration of the world’s Muslim cultures. 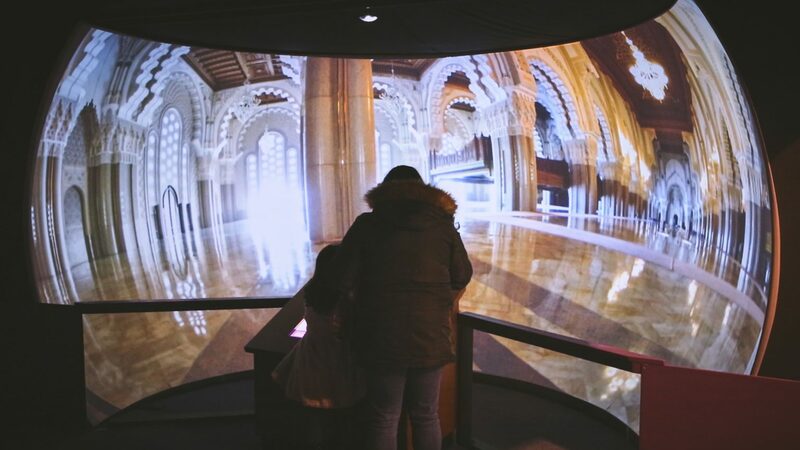 This immersive installation uses a 4m semi-permanent Panorama and an OmniFocus 30210 projection system – 1920×1200 at 6,000 lumens, with a folded lens. 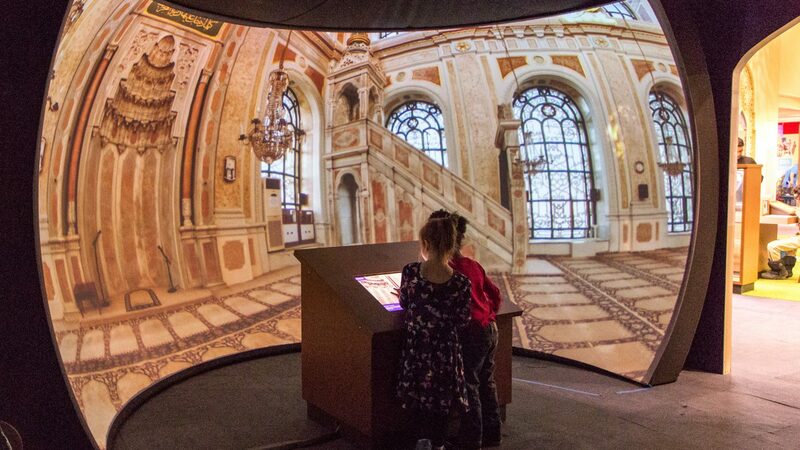 We provided the image generating computer, WorldViewer and WorldComposer, and content consulting services to help the museum build their own content and touchscreen GUI – which they’ll be able to easily refresh with new content, using WorldComposer’s simple user interface.